Cactus is always considered as a dangerous and hideous plant because of it full of thorns. However, there is a great and heart-warming meaning behind the cactus thorns. Many people do not know that Cactus plant is just like a mother. The whole Cactus plant can be described as a mother who protects and care for her baby from all the bad things around them. Thus, using Cactus as the theme for your baby shower party is very suitable. You can show to your friends and families how much you love your baby and willing to protect them with your life. 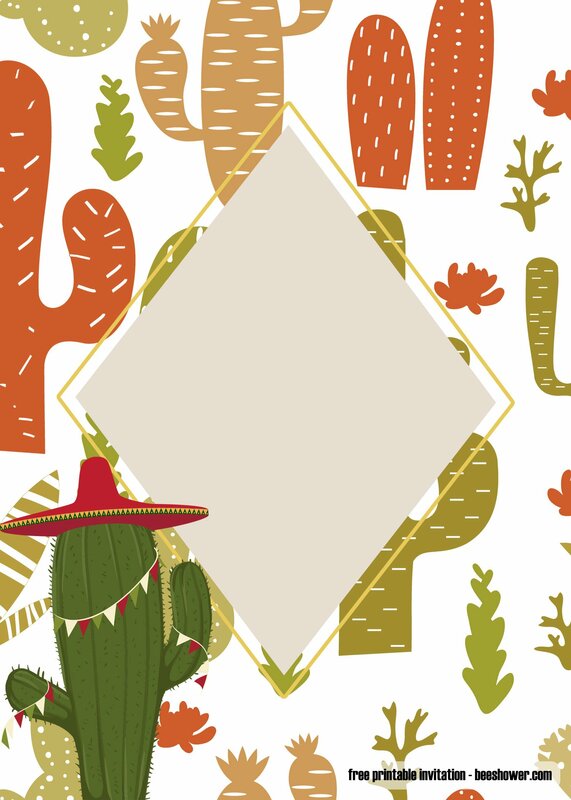 As to finish the preparation, you can use the Cactus baby shower invitation! 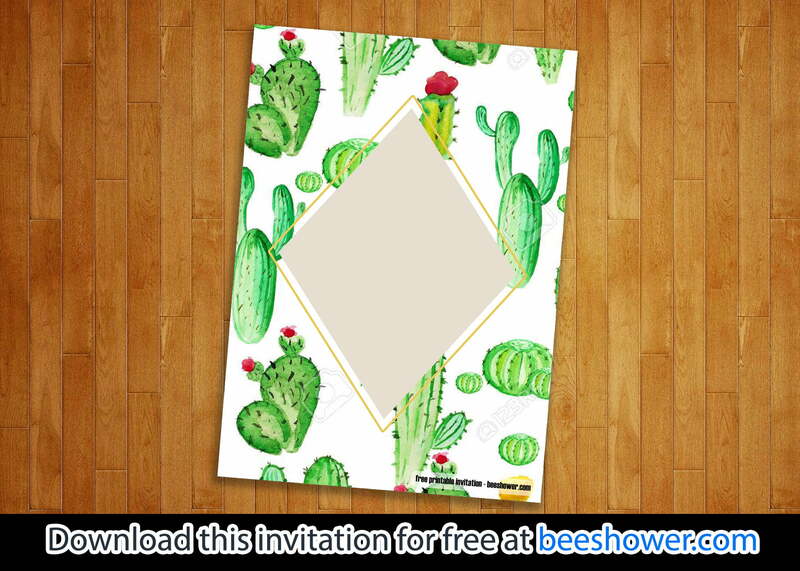 It is quite easy to download and edit the Cactus baby shower invitations. No need to go outside and waste your money. You can download the template by getting into our website and choose the template that you want. After that, you can download the template for free and high-quality. Next step is the editing step. 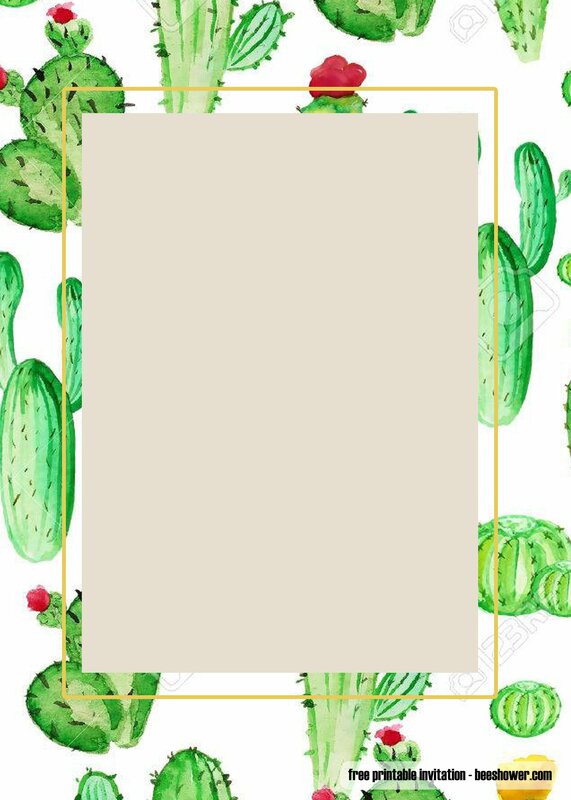 To edit or to custom the template, you can start by typing the words on the available space using the Garden Party font. As for the colouring, you need to adjust to the background of the invitation. 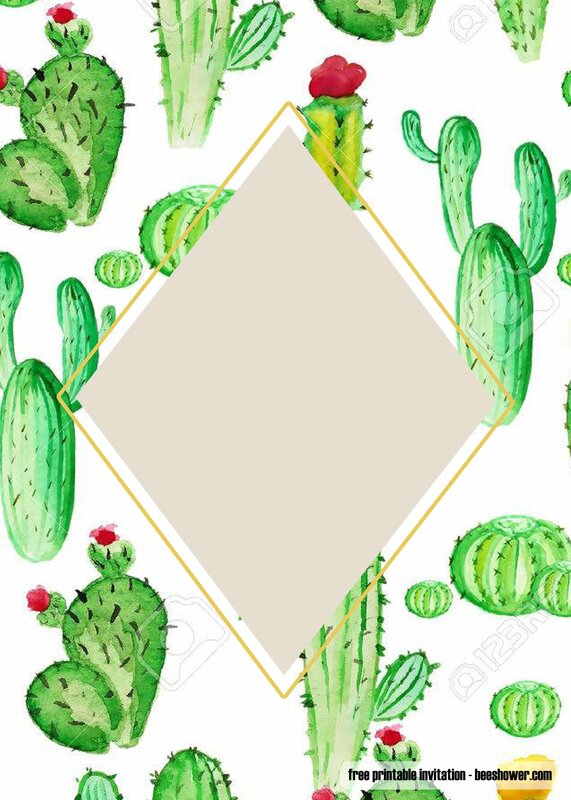 Avoid using green colours because it will dominate the background as cactuses have green colours. 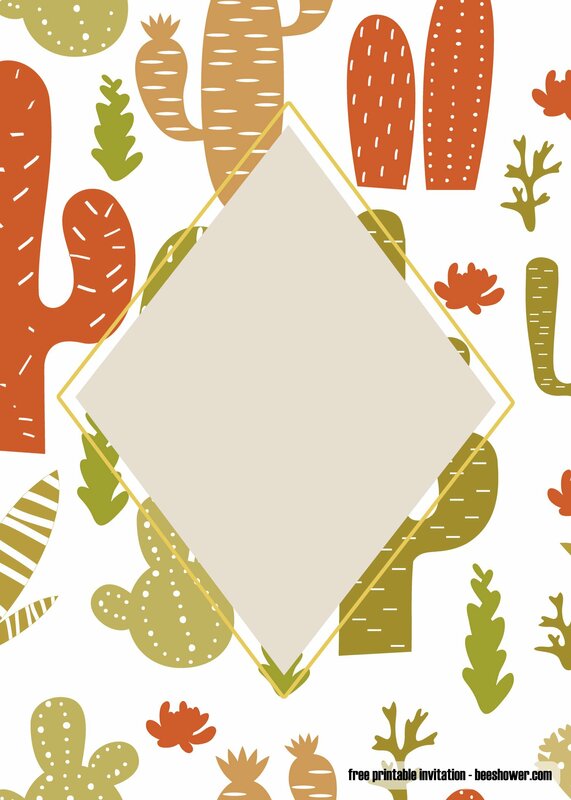 You can use the regular printer at your home to print the Cactus baby shower invitations. Many printers are actually capable to print invitations nowadays. You only need to set the printer to the high-quality printing and you are ready to go. The paper material used to print the invitation depends on the concept. If your concept is casual, you can use the uncoated or the recycled paper material. This kind of paper is the cheapest among the other papers. Then, you can cut the papers into the size of 5”x7” as it is the common size for the party. Then, finally, you can print the invitations just like usual.